This time of year means more to me than just Christmas. I mean, don't get me wrong, I love Christmas, but I also love celebrating the New Year. This time of year reminds me that a whole year is over & causes me to reflect on what has changed and how we have grown. So, these next 10 days will be all about remembering the best & worst of the year & share with each other our favorite moments, trips, photos, music, books, movies and so on. I have invited some of my best blog friends to participate in a little 2011 Favorites series. Each day will feature something new; so make sure you come back & check it out. 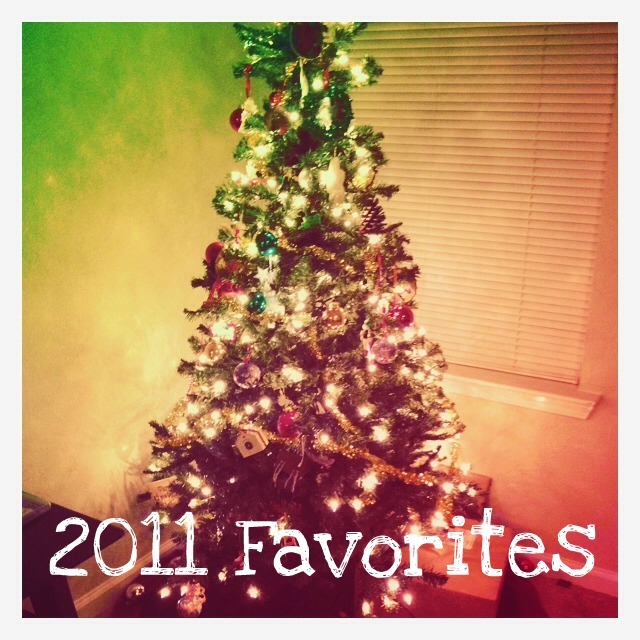 And if you want to participate & have a favorite of 2011 that you want to share, let me know! Oh fun! I usually just do a year in photos at the end of the month. I've been itching to post it early but I want to at least wait to get Christmas and our first pack out in there. Those are pretty big things and I don't want to miss them!